Here you'll find lots of love-filled valentine crafts for kids to celebrate St Valentine's Day and a variety of creative and absorbing ways to have valentines day fun with family and friends. 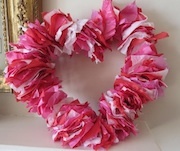 This section is full of homemade valentine ideas including valentine day wreaths, easy valentine card ideas, ideas for printing valentines day hearts, valentine recipes for kids, valentine decorations and much more. So, if you need valentine craft ideas for kids you are in the right place! 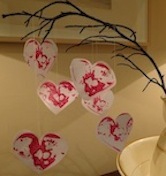 Why not make these pretty heart votive lanterns with your kids? This is one of our valentine day ideas that is quick, easy and lots of fun. The votives also make great ornaments for the table. We love them! 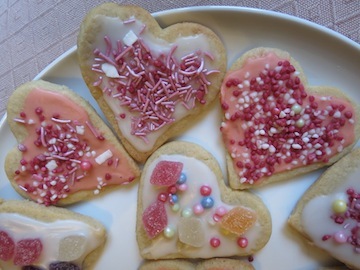 Fine the recipe of our favourite edible homemade valentine ideas here, and make your own heart-shaped sugar cookies. You can have such fun decorating them with cute sprinkles and other sweet candy! Looking for some unique valentine craft ideas? Why not get your kids making this Family Valentine Tree. You can write what you most love about each other on the hearts and it makes a special house decoration! 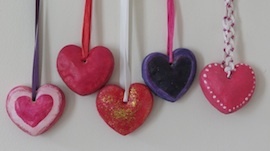 Try making these salt dough ornaments with you kids to celebrate 14th February this year. Use our quick and easy salt dough recipe and let the kids decorate however they like. This is a golden oldie craft, but it never fails to be a great success! 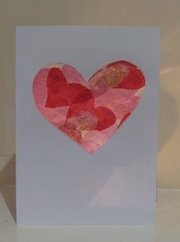 Here we have put together some of our experimental ideas for valentine cards you and your kids could make. We are always adding to this section so if you don't find something you want to try this time come back again soon! Printing valentines hearts with a sponge or toilet roll is a super simple valentine day craft, especially good for young kids and toddlers. Why not use the prints to make cards, envelopes or even a valentine's day table cloth!